When the overnight firestorm raged through Santa Rosa in October, nothing in the three-bedroom house at 1445 Starview Court survived. 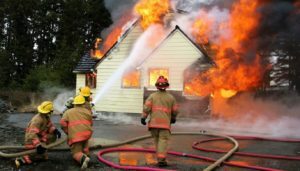 And so, Webb was stunned when State Farm told her that getting the full $237,000 listed on her insurance policy for the fire claim contents of her home will require a written inventory of everything that was inside. “They want every single thing you ever, had,” she said. “Every cup and saucer, every spoon and fork. Everything that you had in your life.” It’s a total loss fire claim and that’s just not possible. 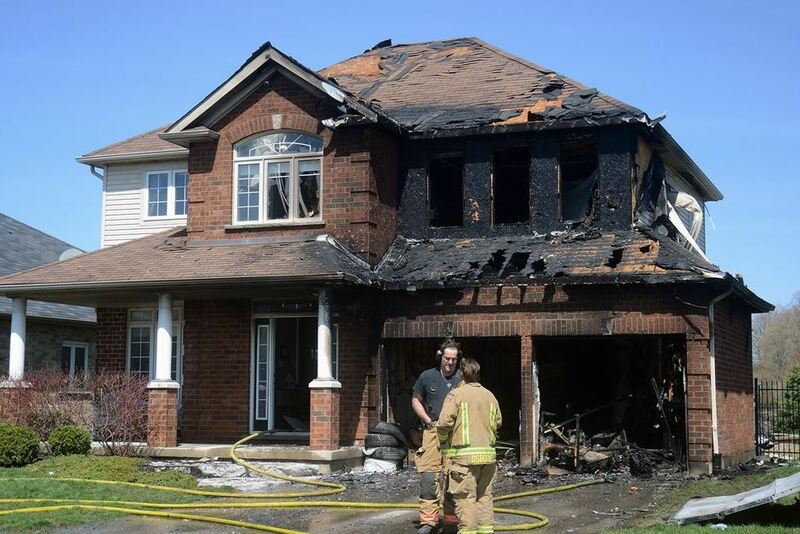 Webb expected a full payment with no questions asked, after all, she and her husband lost everything in the fire. “This is what I have: a pile of ash,” she said, standing atop charred rubble. State Farm declined to discuss specifics of Webb’s fire claim case. In general, a spokesperson explained that consumers cannot count on getting the amount listed in your policy because those numbers represent the maximum amount the policy will pay. “They do not represent an automatic payment amount,” she wrote. After learning that, Webb is bracing herself for thousands less than she expected to recover from the fire damage. When all that remains of a home is ash, what’s the point of a contents list, anyway? We asked around. USAA said a contents list might assist victims in getting a tax deduction. The Insurance Information Institute, an insurance trade group, told us requiring an inventory stops fraud. Bach heads United Policyholders, a San Francisco nonprofit that helps people with insurance. She believes the real reason fire claim victims are required to do detailed inventories is to reduce the amount insurance companies must pay out. “They know people are going to leave a lot of money on the table,” Bach said. Only Safeco/Liberty Mutual told NBC Bay Area that it will pay North Bay fire victims 100 percent of their contents policy without a written inventory. A Safeco/Liberty Mutual spokesman said customers will undergo an “in-depth conversation” with a property specialist who will determine whether the victim will be paid 100 percent of the coverage for their contents. A written inventory of all that was fire damaged will not be required. Other companies said they will let victims avoid a complete fire damage inventory too, but the amount victims will receive is being reduced by as much as 75 percent. Webb says State Farm is giving her two years to complete the claim inventory, when all she wants is to move on today. “And it’s not just me, it’s my neighbors,” she said. She’s right. We checked with the California Department of Insurance. It told us hundreds of fire damage victims have complained about being forced to itemize everything they had in their home before their insurance company pays their claim in full. Jones issued a notice to insurance companies urging them to waive their inventory requirements for wildfire victims. He gave them a Jan. 8 deadline. Jones does not have authority to require 100 percent payments for fire claim victims. But, he plans to publicly post the names of insurance companies that will — and will not — give fire damage victims a break from the paperwork. Webb wants insurance agents to start disclosing how the claims process works before they sell a policy and tell customers they might be required to do a full home inventory after a disaster to get paid. Webb said no of that occurred when she signed on with State Farm. “No, it didn’t happen,” she said. We have asked state farm to reconsider Webb’s case. She is hopeful the company makes good on its “Good Neighbor” slogan. “It you were a ‘Good Neighbor,’ you’d pay what you owe me — for what I paid for all these years,” she said. Here’s how you can protect yourself right now: do a home inventory before disaster strikes. It’s simple. Take a tour of your home with your smartphone. Shoot video and snap photos. Open drawers and comb through closets. There are apps out there that will help you. United Policyholders has one, here: http://www.uphelp.org/pubs/uphelp-home-inventory-app. No matter how you create your list, send it to the cloud. That way, if your phone burns, you have a back-up copy of everything you need. This is yet another story as to why policyholders need their own adjuster looking out for their interests. The insurance company has an adjuster… You Should Too!